The Cybex VR3 Arm Curl offers adjustable seat height which gets the shoulder in the right place for proper and safe lifting. The angled pad supports the full length of the upper arm to eliminate unwanted shoulder movement. The self-adjusting forearm length design feature automatically adjusts to the differences in forearm length of a wide variety of users. The VR3 chest pad also provides better torso stabilization and elbow positioning. 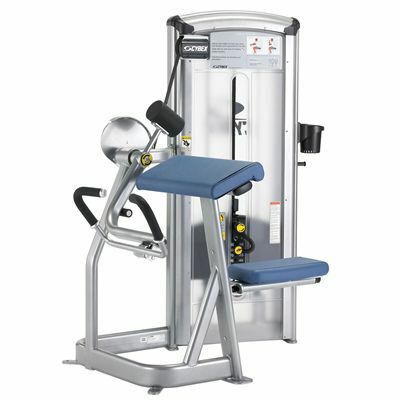 The counter-balanced take-off weight counter-balances the additional weight of the pressing arm assembly so that the user is lifting only the actual weight of choice. The station is designed to withstand the heavy-duty commercial gym environment and it is suitable for highly supervised gyms as well as self-service facilities. for submitting product review about Cybex VR3 Arm Curl.